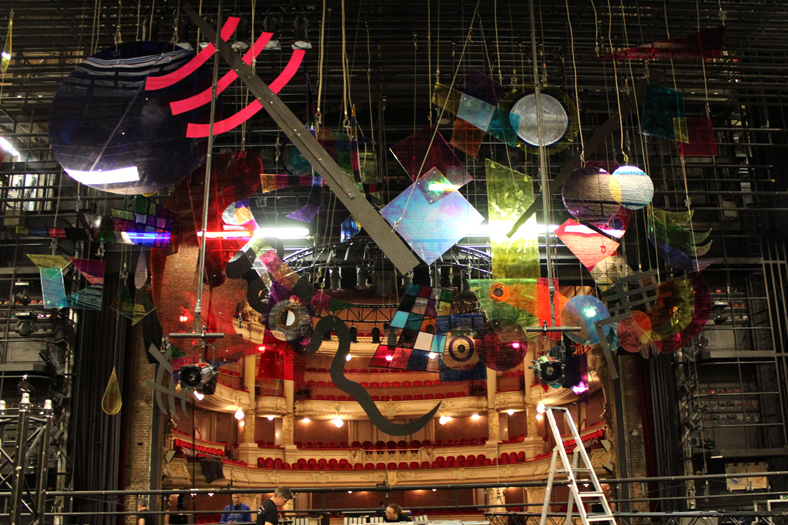 For ‘Boekenbal 2016’, we were honored to be part of the design team to make an air installation for the main theatre stage. 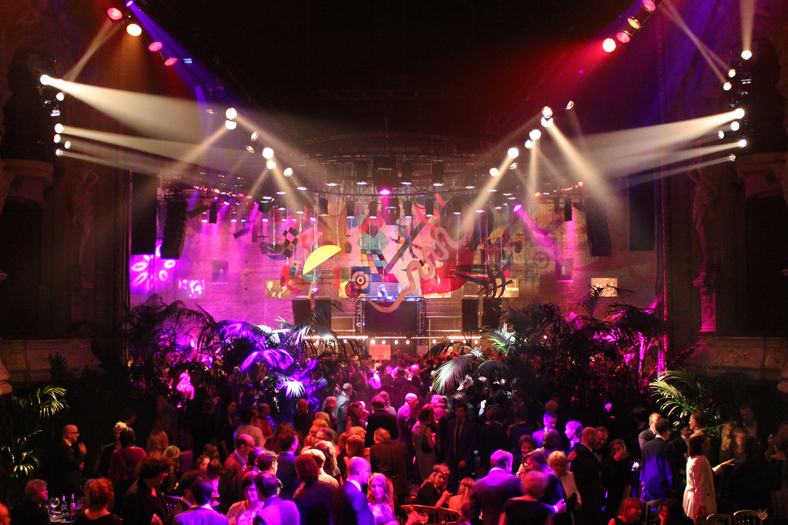 The annual Dutch Book Week ‘Boekenweek’ starts traditionally with the Boekenbal (book ball) and was held in the City Theatre of Amsterdam (Stadsschouwburg). The 2016 theme was ‘Germany’, full of references to German culture and literature, even including a Bavarian beer hall during the event! 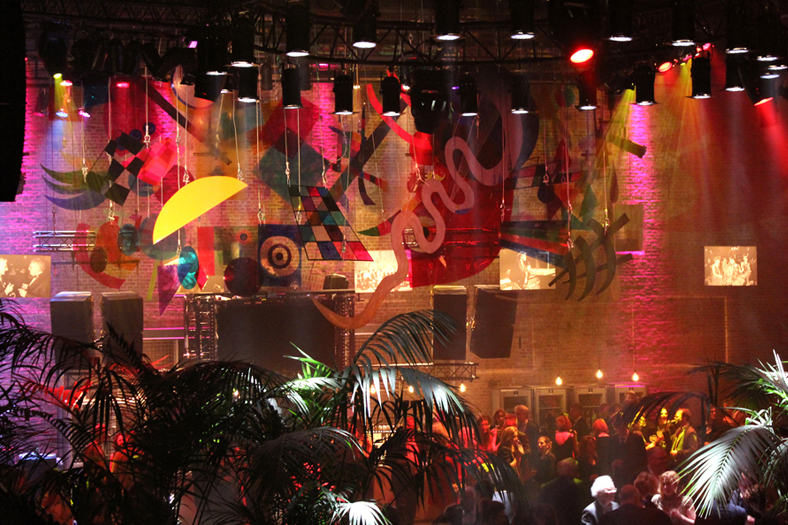 We designed an air installation ‘Kunst Kronleuchter’ (German for ‘Art Chandelier’) to turn the main stage into a chic vintage nightclub. Our inspiration was the nightlife and art scene of the German ‘Golden Twenties’ from the previous century, especially artists of Der Blaue Reiter like Wassily Kandinsky and Franz Marc. 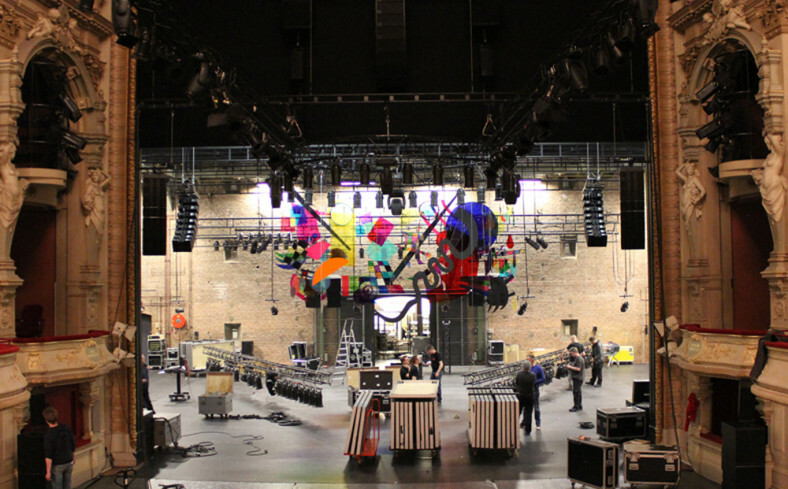 The concept was to create a colorful 3-dimensional abstract ‘painting’ to transform the space into a modern artistic ballroom. From a far distance the air installation looks like a giant floating painting. When you come closer you will see the composition of the layers are changing, depending in which angle you’re looking at. 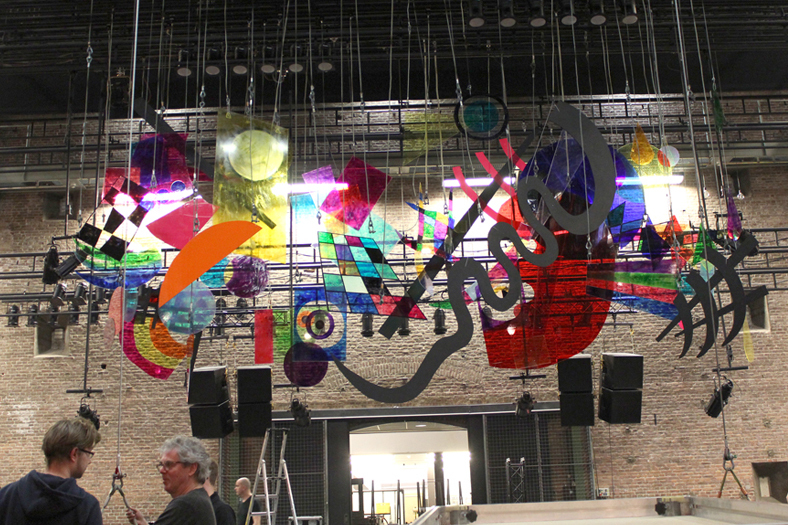 The construction is made of perspex and wood and has a width of 8 meters and a height of 4 meters. Many thanks to our friends and especially mister Harry Hoek for the endless help and support!